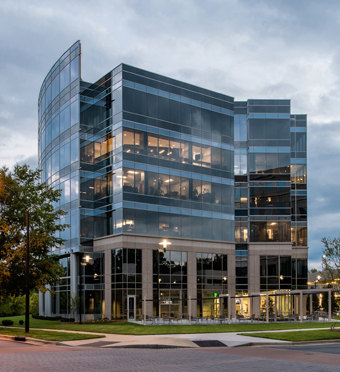 Rule Joy Trammell + Rubio was responsible for master planning, architecture, interior design, structural and MEP design services for Glenlake V, located in the suburban business district of Raleigh, NC. 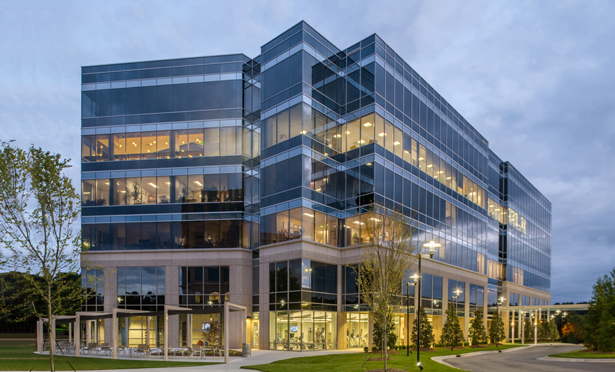 Glenlake V is a 6-story Class 1A Ofﬁ ce Building consisting of approximately 172,000 GSF. Tenants and visitors enjoy amenities such as a multifunction lounge in the lobby area, complete with a small catering kitchen and cafe/lounge area, a 2,000 SF ﬁ tness center, and an indoor/outdoor function space. Parking is a 4-story, 220,000 SF pre-cast structure, with the capability of accommodating 630 cars.